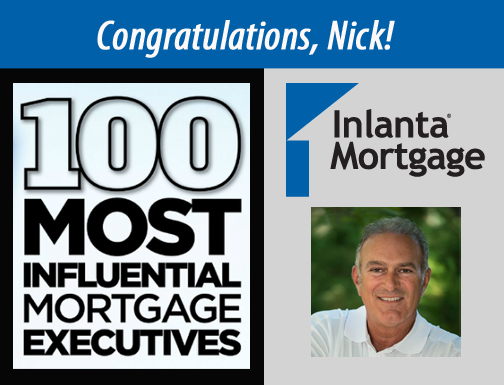 Inlanta Mortgage Partners - Mortgage Executive Archives - Inlanta Mortgage, Inc.
Mortgage Executive Magazine recently released their list of the 100 Most Influential Mortgage Executives in the country. Inlanta Mortgage President Nicholas DelTorto is once again on this list. Mortgage Executive Magazine seeks to recognize the service, dedication and hard work that mortgage executives put into building their companies and servicing their employees and clients. Read the full Winter 2015 issue of Mortgage Executive Magazine here. Read the issue to discover how the 100 Most Influential Mortgage Executives in the country answered this question: What is the Biggest Opportunity in the Mortgage Industry Today? DelTorto was also recognized recently as one of Mortgage Professional America‘s Hot 100 Mortgage Professionals who are movers and shakers or made waves in the mortgage industry. Read more about DelTorto and fellow Hot 100 award winners, Kevin Laffey and Peter Salamone here. The 100 Most Influential Mortgage Executives in America list is by invitation only and at no cost to the executives. Inlanta Mortgage is growing and invites mortgage professionals to learn more about the Inlanta support platform. Contact Peter Salamone at 262-439-4260 or partners@inlanta.com to discuss available opportunities. Headquartered in Brookfield, Wis., Inlanta Mortgage was established in 1993. The company has grown to 33 branches in 16 states and over 200 employees. Inlanta Mortgage offers Fannie Mae/Freddie Mac agency products, as well as jumbo and portfolio programs. The company is an agency-approved lender for Fannie Mae, Freddie Mac, FHA/VA, FHA 203K and USDA. Inlanta Mortgage also offers numerous state bond agency programs. Every year, Inlanta Mortgage branch managers assemble to discuss issues facing our industry, ways to improve of our internal processes and procedures, and to lay out a growth plan for the the rest of the year. How can Inlanta provide better service to our lending customers? How can we streamline our processes to reduce costs and improve our service offerings? How do we attract other top-notch loan officers who would benefit from our award winning technology platform? While all these questions and more will be addressed at this year’s annual managers meeting – branch managers, their loan officers, and several corporate staff members will also attend the Mortgage Executive Magazine & Mastermind 2013 conference while in Sin City. The Mortgage Executive Magazine & Mastermind 2013 is being held on June 5 & 6, 2013 at the Palms Hotel in Las Vegas. The conference will feature an exclusive panel of six billion dollar career originators. These six Mastermind 2013 panelists have personally originated and closed a combined $10 billion of mortgages over their careers. In addition to the billion dollar career originators, the conference will feature over 30 Mortgage industry leaders including Inlanta Mortgage President, Nicholas J. DelTorto. Nicholas’ topic will be on learning to identify a market opportunity for your mortgage business. “Last year in attending the Mastermind in Vegas I thought that MAYBE I could get one or two items out of the seminar and would hopefully have a return on my investment. I also figured it would be filled with “Sell me this and sell me that” sales pitches. On both counts I estimated wrong. 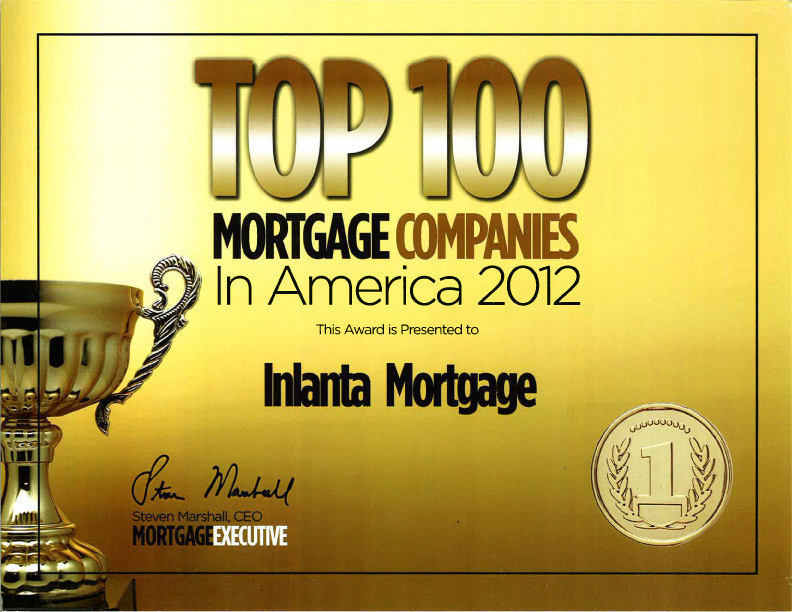 Headquartered in Brookfield, Wis., Inlanta Mortgage was established in 1993. 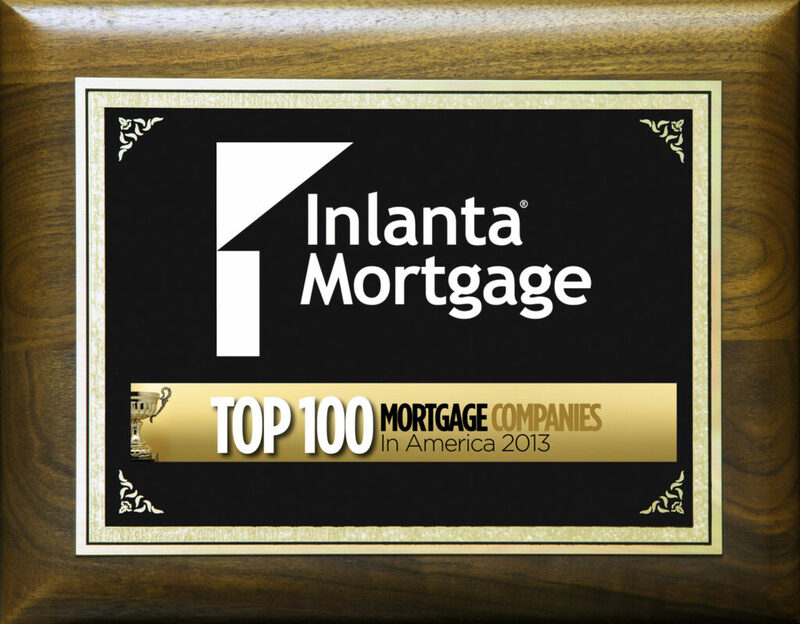 2013 marks Inlanta Mortgage’s twentieth year in business. The company has grown to 32 branches in 15 states and over 220 employees. Inlanta Mortgage provides its partner branches with Fannie Mae/Freddie Mac agency products, as well as a full suite of jumbo and portfolio programs. The company is delegated FHA/VA, FHA 203K and USDA approved.